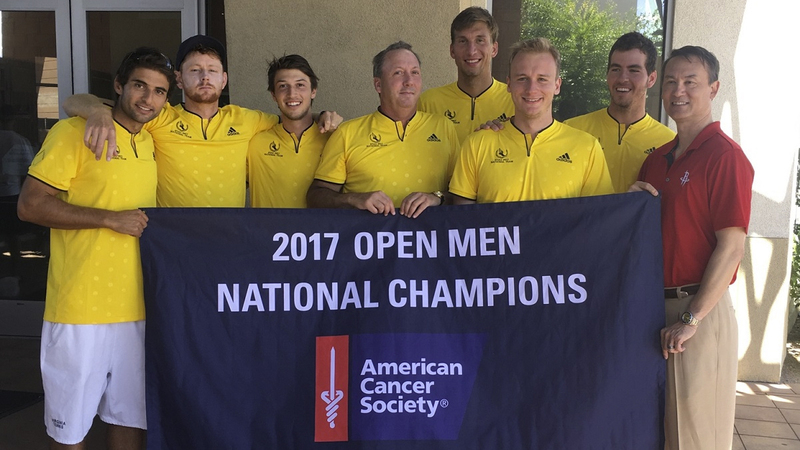 The New York Athletic Club (NYAC) Men's National Team won the National Open Team Championships, which benefits the American Cancer Society, at the Darling Tennis Center in Las Vegas for the sixth time in eight tries. Representing the USTA Eastern Section, the team from NYAC was captained by Jeffrey Appel and featured Michael Redlicki, Michael Shabaz, Connor Smith, Maciek Romanowicz, Yale Goldberg and Ryan Shane. Appel’s squad defeated the team from Northern California representing the California Tennis Club which featured Andre Dome, Corey Pang, Nicholas Brunner, Matthew Berry and JT Sundling at the Darling Tennis Center in Las Vegas. Appel, a graduate of the University of Pennsylvania who is known as the “Mayor of New York Tennis”, has captained the team for the last eight seasons, and has forged relationships with a lot of the players that extends past the tennis court. He has helped more than 50 young professionals find careers after tennis. Jared Donaldson, currently ranked No. 58 in the world and is one of the United States’ top young players, is a friend of Appel’s and is not surprised at the success he has had in putting together winning tennis teams.